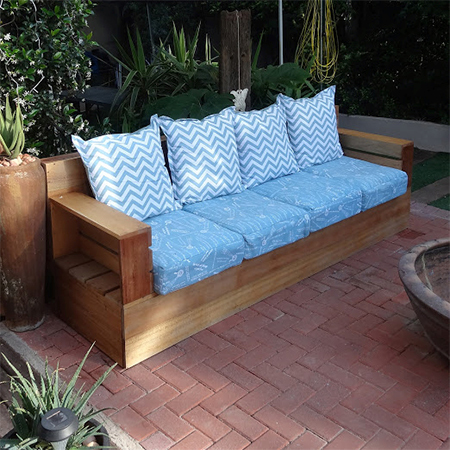 Manufactured from Meranti, this outdoor sofa is available in 2-seater, 3-seater and 4-seater sizes and can be raw or tinted in your choice of wood tint. 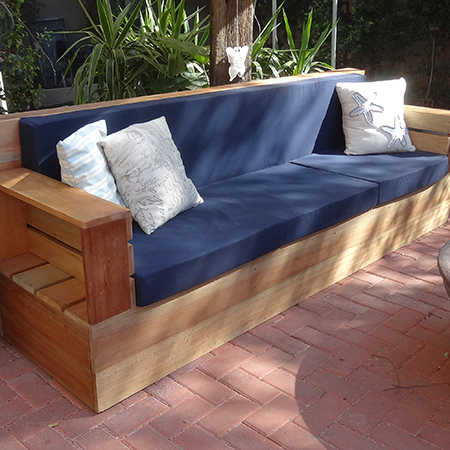 The outdoor sofa can be finished in your choice of teak or imbuia stain, left raw and / or sealed with exterior sealer. Excludes upholstered cushions (on request). 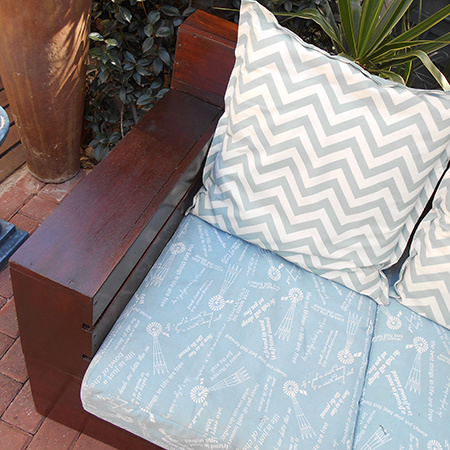 Shown here [above] Outdoor Sofa finished in clear sealer and [below] finished in imbuia exterior sealer.